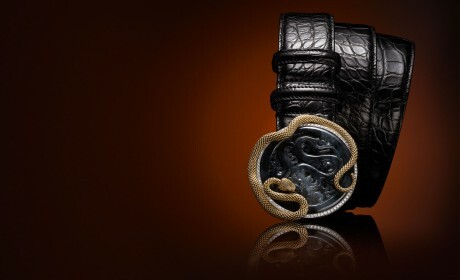 Pavés are proud to showcase this Authentic Handmade Mississippi Crocodile leather belt. This belt was handmade with dedication to craftsmanship that the company was founded upon. 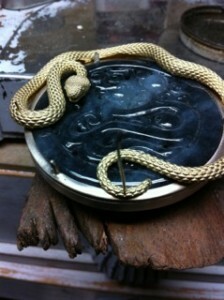 The belt is fashioned from genuine Mississippi Crocodile skin. 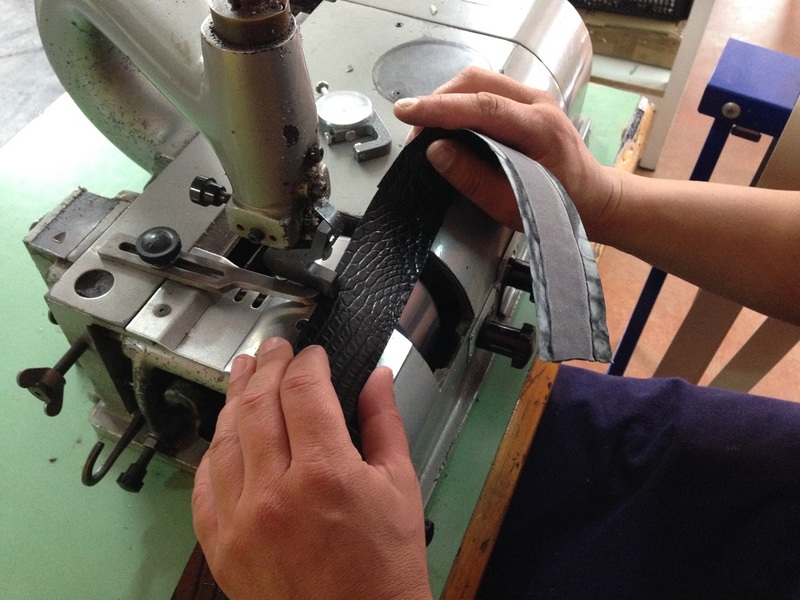 Every step in making this stunning belt is done by hand, from the cutting to the sanding, guaranteeing that every handmade leather belt that Pavés make is of the highest quality. Pavés uses only the highest-grade Crocodile skins for their belts. 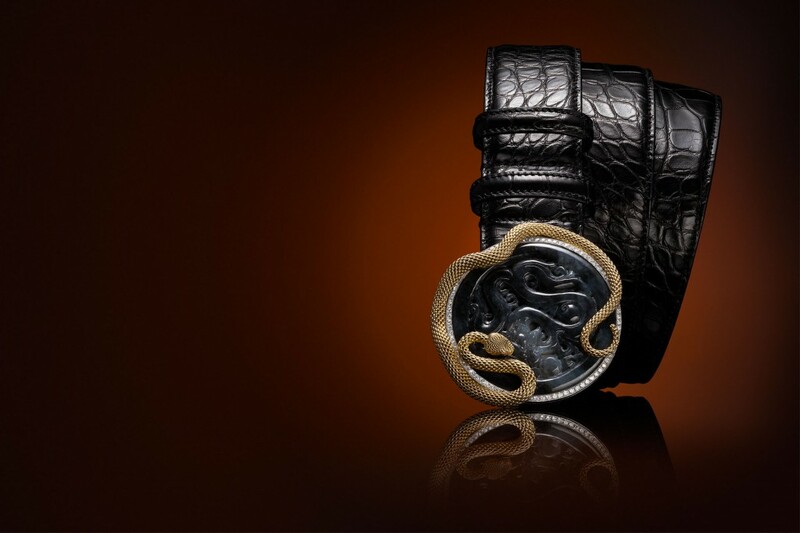 Each belt has a unique scale pattern, and each hide takes the dye differently.This belt gives a unique, distinguished touch to anybody’s style. Each item we offer is made with the same care and respect you’ve come to expect from Pavés. The hide was selectively sourced from crocodile farms which are recognised by CITES (Convention of International Trade of Endangered Species of Wild Flora and Fauna) so when you invest in a crocodile product you are making a worthwhile commitment and a meaningful contribution to wildlife. Farm raised and harvested from the wild. It’s (Crocodile) skins are prized for their incredible quality and texture with their intrinsic value as nature’s most beautiful leather, crocodile skins are demanded by all of today’s top fashion brands. Luxury handbag designers like Luis Vuitton, Gucci, Chanel, Burberry, Versace, Hermès, and others have made crocodile their exotic material of choice for their high-end product lines. The styles may vary greatly but a product made of genuine crocodile is always in style; when properly cared for, crocodile leather goods are the epitome of timeless luxury. Exactly what makes these skins so desirable is dependent on whom you ask, but its elegance is undeniable. 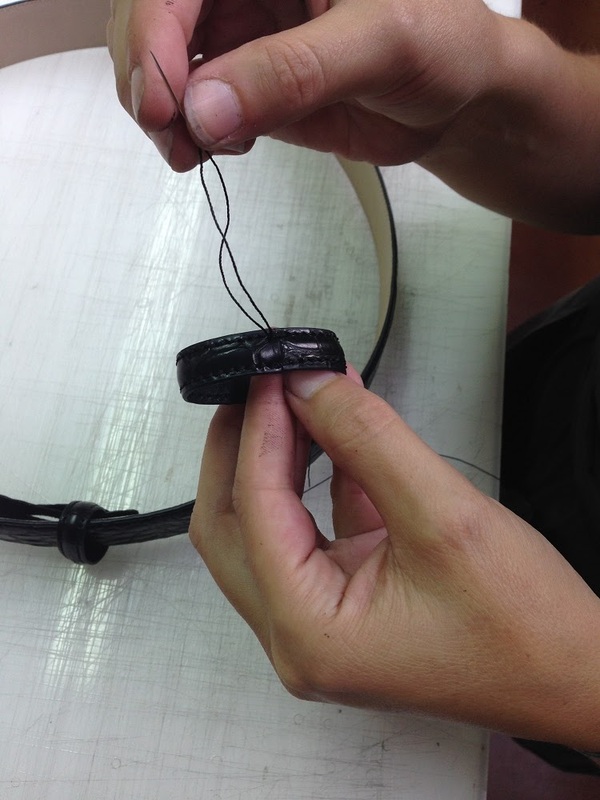 The actual construction of this quality belt requires detailed steps and precision equipment and we hope you will appreciate the detail and time involved in this handcrafted workmanship and understand why these type of products are expensive. 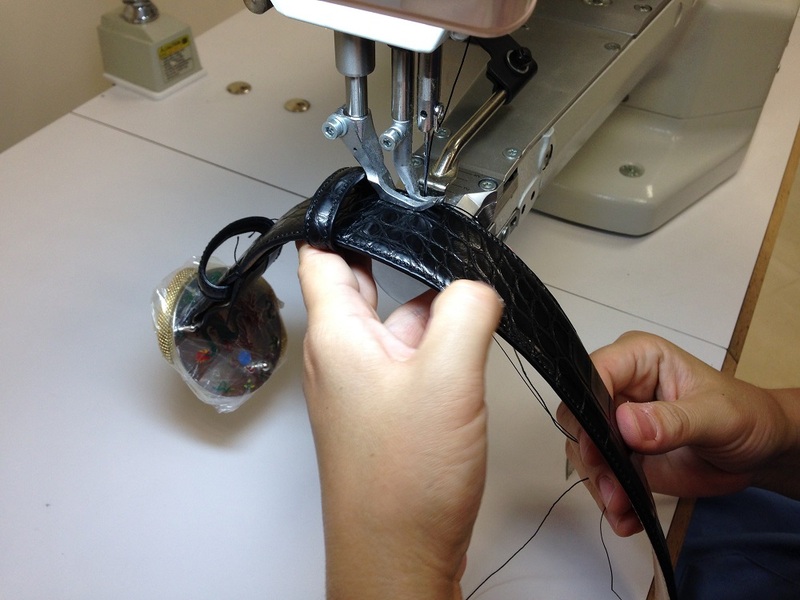 Crocodile belts are made from a series of cuts across the belly. Since these cuts are not long enough to make a belt, they are matched for colour and scale pattern and spliced together. The opposite end of the first or tip piece is sliced or skived through at an angle from the flesh side through the finished side. The next piece to be joined is cut at an angle starting from the finished side and going through the flesh side from the opposite direction. The angles should match in order for the top of the tip side to be glued and placed on top of the bottom of the next joint. 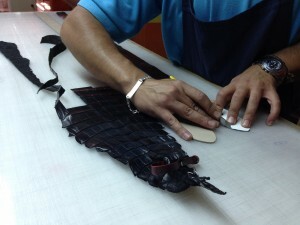 This process is repeated until the cover is long enough to match the lining length. The Gloss or ‘glazed’ finish refers to rich, lustrous, patent like appearance and what about the Buckle? 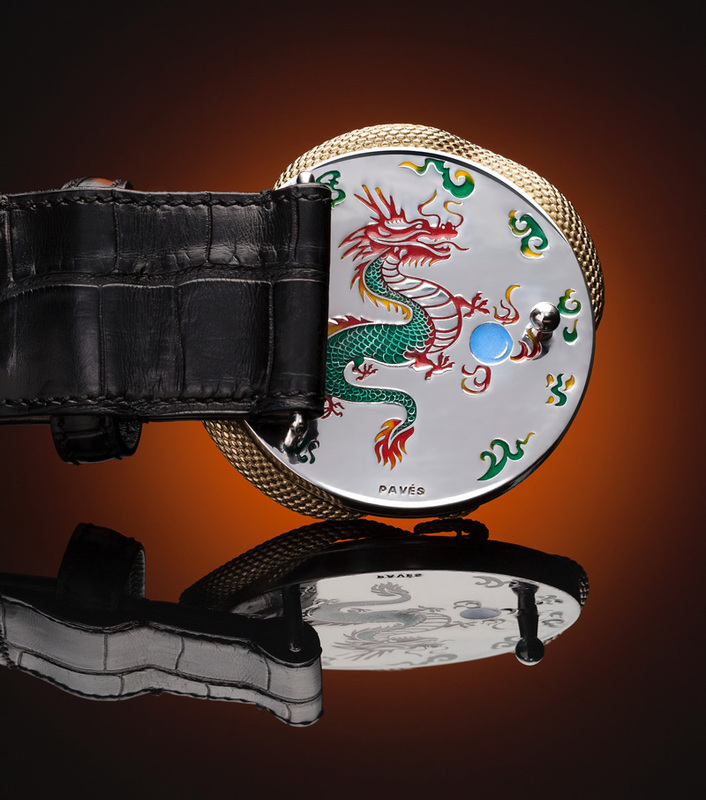 This magnificent unique piece features a large circular buckle showing a hand carved dragon made from Black Jade, Jade is an ornamental rock that is made up of different silicate minerals: Nephrite and Jadeite, To understand the value of jade, you have to look beyond its durability and its role as a gemstone and beautiful adornment. Jade is a spiritual stone with significant meaning that’s intricately woven into the Chinese culture. Black Jade is the stone of independent living in spite of physical limitations. It is an etheric bodyguard and a stone of protection. Its strong elemental energy shields not only the physical body, but guards against negative forces or entities and people projecting anger and aggression. It defends against negative energy. The Dragon stands for good luck, strength and loyalty and symbolises wealth and fortune and was a symbol of imperial power in Chinese culture. The two together symbolising “Fortune” and “Life”. Surrounded by carats of Diamonds for that added sparkle, an 18KT yellow gold hand crafted snake wraps itself around the buckle showing a truly spectacular finish and on the reverse of this amazing “one of a kind piece” is an enamel engraving of a dragon in vibrant colour.